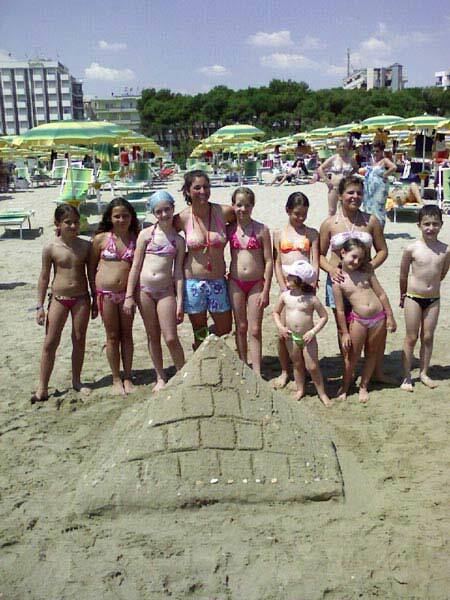 The Hotel Sporting Alba Adriatica provides families, many facilities for a pleasant holiday characterized by the fun and relaxation. In our private beach every day you can enjoy courses of Aqua gym, Aerobics, Pilates, muscle toning, group dances, lessons Spinning, Mini Club for children from 3 to 11 years, Junior Club (11 years onwards), play on grass and inflatable games. Every night the kids can have fun with our entertainment. Joy and happiness is to spend pleasant moments with friends. Fun with our animation team for children. Chairs for dining room, bike with an approved car seat, cribs "camping" bed and crib. Mini Club and Junior Club for children of all ages. We wait all day at the beach. 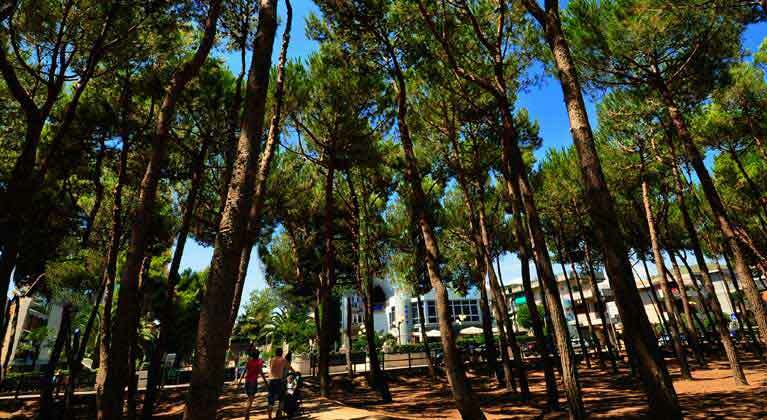 In front of the Sporting Hotel and adjacent to the beach, there is the green pine wood of Alba Adriatica, ideal place for the relax of the whole family! Oasis of natural wellness, the pinewood allows you to spend pleasant moments immersed in nature, away from the most hot hours of the day.